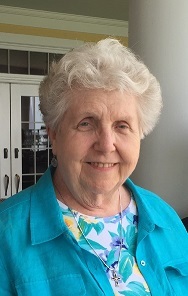 A Sister of Mercy from Philadelphia, PA, Sister Janet has facilitated close to 20 Agency Conferences for ReFocus. In 1993, at our first Agency Conference, Janet led us through an exercise to create our Mission Statement, the same Mission Statement we hold dear to us today. 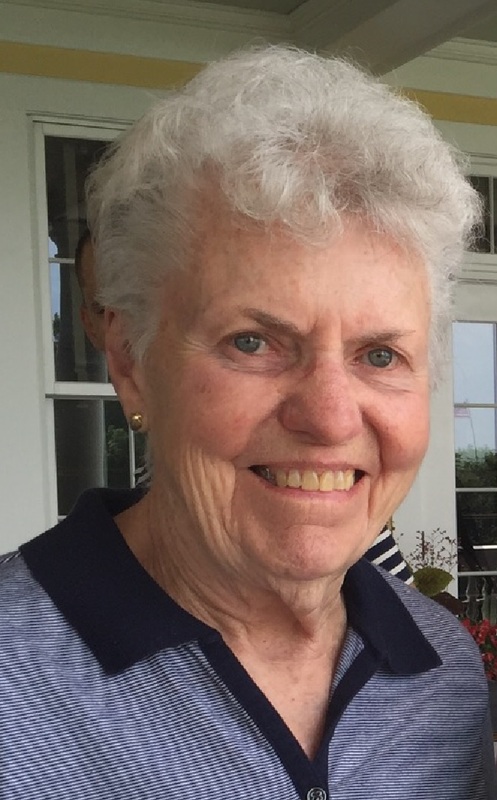 With Sister Janet’s guidance and challenges over the years, ReFocus has set goals, reached those goals, and moved on to set higher and higher goals to improve the services, training, and programs of excellence that ReFocus offers. Life is a work in progress and our job is to keep getting better and better each year. Janet has recently broadened her contributions to ReFocus and now works regularly with the Administrative Team and with the Gilbane Community Center Coordinating Team. She also uses her training as a life coach to help us work through challenges facing our leadership and to work pro-actively in our response to the challenges and growth opportunities within ReFocus. It is with great pleasure we present the Spirit of ReFocus Award with Sister Janet, who not only lives the spirit of ReFocus, but helps us live it with more intention. ReFocus is very pleased to honor Sheila O’Brien with the 2016 Spirit of ReFocus Award. Sheila has worked at ReFocus for the past ten years. Hired to work in the Front Office, Sheila will tell you that her job was to answer the door and the phone. We, who work with her, know it was so much more than that. Sheila was the first face of ReFocus and she ensured that people were greeted in a friendly and helpful way and that the Front Office ran in an organized and efficient manner. Sheila continues to fill in and train people in the Front Office, but now has many other responsibilities. Sheila is the Agency Document Reader. In addition to checking all of our spelling, grammar and punctuation, she uses her in-depth knowledge of the English language and her gift for attention to detail to catch times when we might not be saying what we intended, when what we write is perhaps not clear, or whenever we type in the wrong birthdate or social security number . . . all elements of ensuring that every document that leaves the Agency is professional. In short, she makes us all look good. But she goes beyond just ‘fixing’ our mistakes or oversights; she is also there as a teacher and friend. Being the gifted teacher, she has organized and taught classes so that we can learn her craft. It is not always an easy job teaching the ReFocus crew but she approaches everything she does with such dignity and respect for everyone she comes in contact with that she has become the go to person for so many of us. Sheila’s ReFocus Spirit goes beyond her dedication to excellence. Sheila spends many hours each week volunteering her time on various ReFocus projects. If you have ever received one of the ReFocus Thanksgiving baskets or been part of the ReFocus Christmas Gift donation program, you have benefited from Sheila’s volunteer work. If you have ever attended one of the many ReFocus Events, such as tonight, that was well organized with programs and brochures, you have benefited from Sheila’s work. If you have ever been thankful for the grace and dignity with which ReFocus honors and remembers our folks who have passed away, you can thank Sheila for the time she volunteers to make that happen. Sheila’s latest volunteer adventure is donating time to the ReFocus partnership with We Share Hope for the distribution of upcycled food and products. But her ReFocus spirit goes beyond her donation of time as a volunteer. Sheila’s ReFocus spirit can also be seen through the eyes of our folks. She has developed important friendships with them and has become a part of their daily lives. She attends birthday parties, ISP meetings, visits with people when they are sick, takes people out to lunch and out on an occasional shopping trip. She has one friend in particular from the Supportive Living Program who calls her every morning no matter what is happening, Sheila is there to take her call and let her know that she cares. Sheila is a faithful friend. Sheila is a woman of great integrity. As an employee, she is smart, hardworking, and dedicated. As a friend she is witty, compassionate and tells a great story. During her tenure at ReFocus she has made ReFocus a better agency because of the work she does and the positive impact that she has had on us. Sheila, we thank you for allowing us to honor you and the gift of your presence with us at ReFocus. We love and appreciate you, everyday!